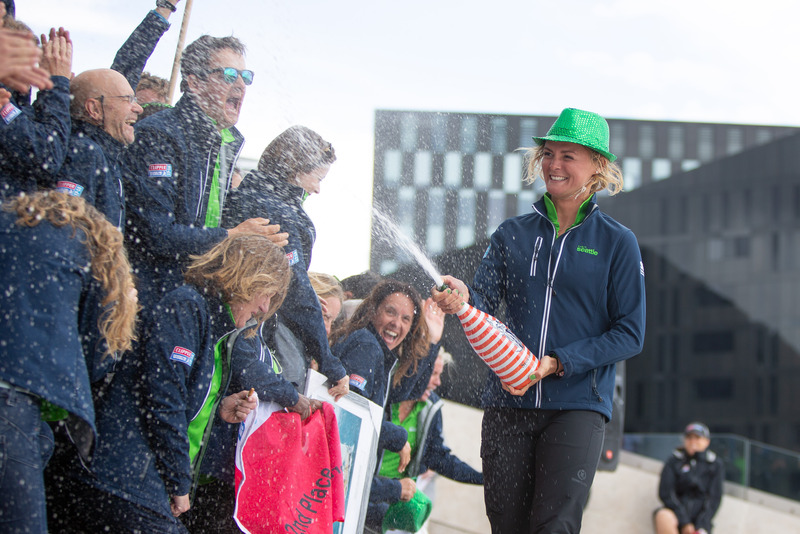 History has been made in Liverpool today when Australian Sailor Wendy Tuck became the first woman to ever win a round the world yacht race after leading her Sanya Serenity Coast team to clinch overall victory in the Clipper 2017-18 Race. 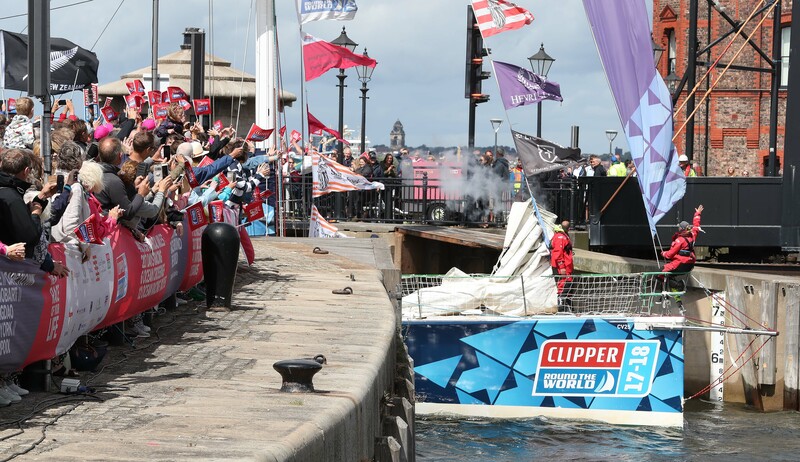 Thousands of people from around the globe flocked to the banks of the River Mersey to watch the spectacular Race Finish Sprint and after an intense 18 nautical mile duel, it was Garmin, PSP Logistics and home team Liverpool 2018 that picked up the final bonus race points in front of Royal Albert Dock Liverpool. 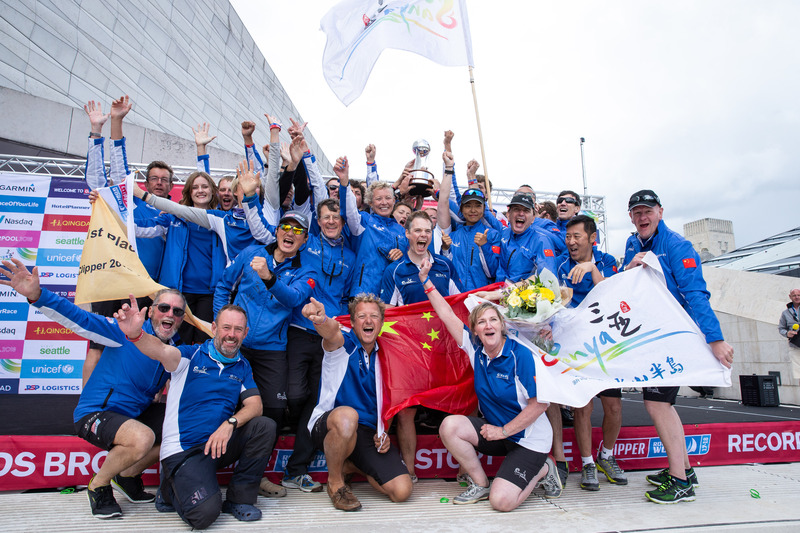 Despite the sprint positions, it was Sanya Serenity Coast that managed to hold the overall lead and in an additional win for women’s sport, second place overall went to British Sailor Skipper Nikki Henderson, 25, the Skipper of Visit Seattle. Sanya Serenity Coast Skipper Wendy, 53, from Sydney, said: “I can’t believe it. It hasn’t really sunk in really but I am just so happy. It is so, so special. One of the biggest cheers of the day, however, went to home team Liverpool 2018. 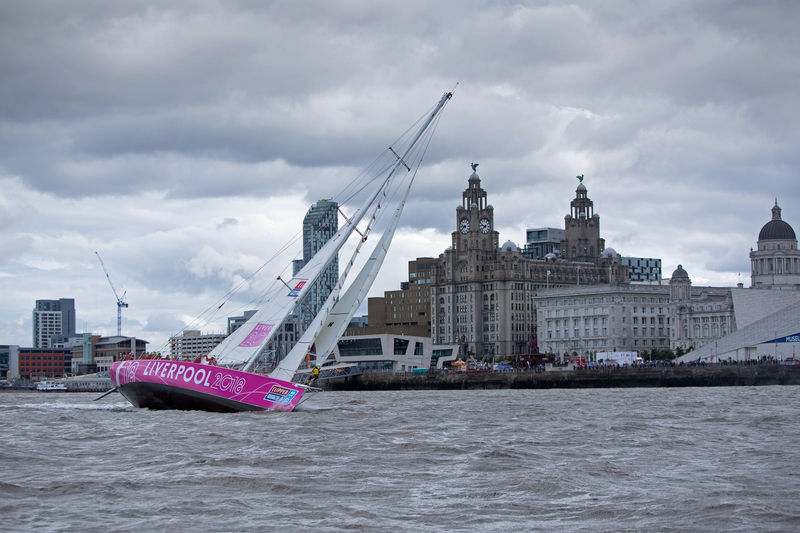 The bright pink team entry, which has been flying the flag for the city as it raced around the globe, returned to its home port to a hero’s welcome after double podium success in Race 13, where it finished second, and the Sprint Finish, where it took third place. 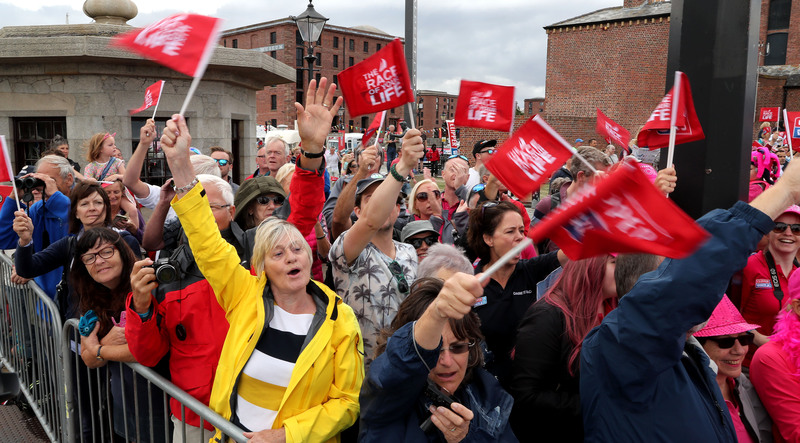 The arrival of the Clipper Race Fleet into Liverpool was followed by a public prize giving hosted by Neil Sackley and Leanne Campbell in front of a jubilant crowd on the steps of the Museum of Liverpool where each team’s achievements were celebrated for one final time. 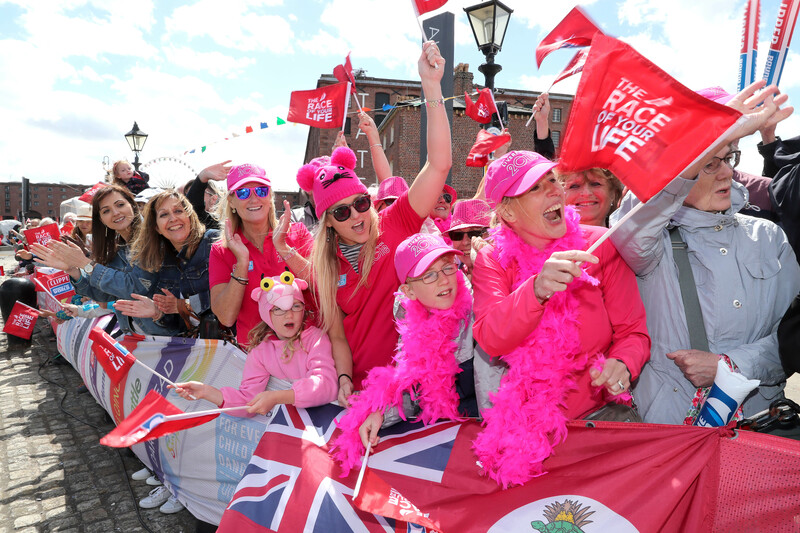 Celebrations will continue throughout the weekend, with a programme of entertainment, workshops, free yacht tours and talks taking place until Sunday evening. 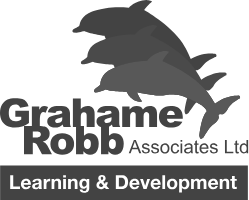 Liverpool 2018 yacht will remain in Royal Albert Dock Liverpool until Sunday 05 August and will be open to the public for free tours daily from 10:00 to 18:00.